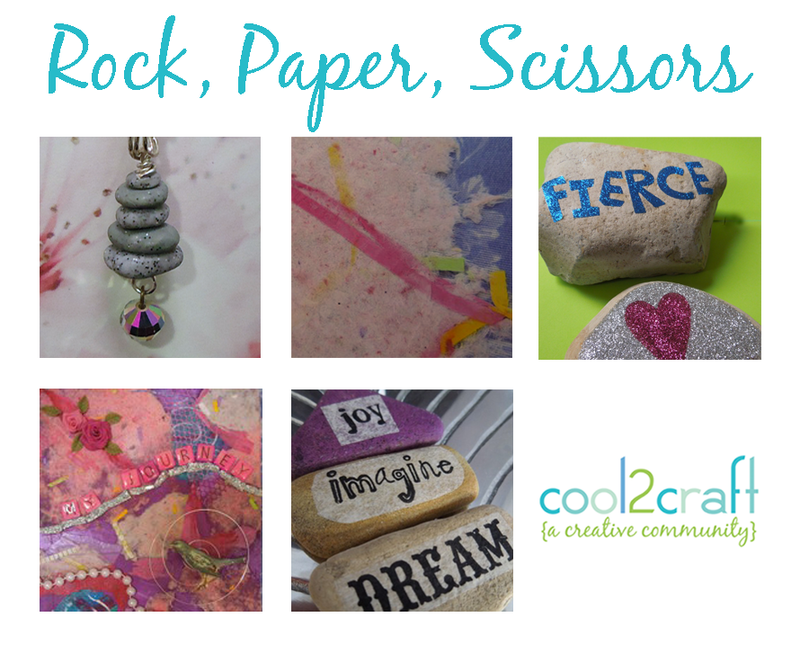 iLoveToCreate Blog: Cool2Craft: Rock, Paper, Scissors, Crafts! Cool2Craft: Rock, Paper, Scissors, Crafts! It's super cool! Cool2Craft TV September 3, 2012: Rock, Paper, Scissors! The Cool2Craft design team is sharing a fun twist on the familiar game to create a cool collection of rock and paper craft ideas this week! Tiffany Windsor is decoupaging stamped tissue on rocks with Aleene's Decoupage and EcoHeidi Borchers is creating hand-made paper towel paper to decorate a mixed media composition notebook cover with Aleene's Tacky Glue, plus much more! Learn new techniques, chat with us while watching the show and ask questions about all your favorite Aleene's products! It’s easy to watch the Cool2Craft TV Channel right from your computer. Airing Monday September 3, 2012 9am Pacific/10am Mountain/11 am Central/Noon Eastern. Go to http://cool2craft.com and you'll see the Livestream player and chat box. See you Monday! Can't make the live show? No problem, you can drop by anytime 24/7 to watch the show!